Real Adventure Creates Memorable Experiences. Let Local, Professional Guides give you an Adventure to remember! Guides first, we focus on progressive, individually tailored instruction. Focusing on the fundamentals. We promote safety and process over “conquering” a trail. Whether you are new to the sport, dusting off the mountain bike or a seasoned rider looking to sharpen skills, BWA can help you progress. 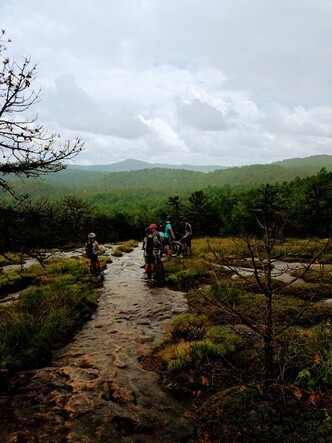 All of our guides are professionally certified to teach Mountain biking. Our instruction goes beyond mountain bike skills and strives to create and foster a better understanding of our impacts and interactions with other forest users. We proudly participate in trail work days and encourage our clients ​​to do the same. Rental bikes available from Sunrift Adventures. We offer unique and custom opportunities for small groups, boards, corporate day retreats, small office adventures, and more. If your organization needs a getaway, BWA can provide the perfect backdrop. 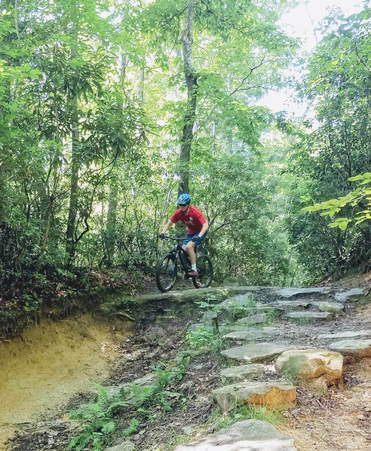 Options available including hiking, mountain biking or swamp rabbit rides. ​Great for Families! Discounts offered for Non-Profit boards and employees. 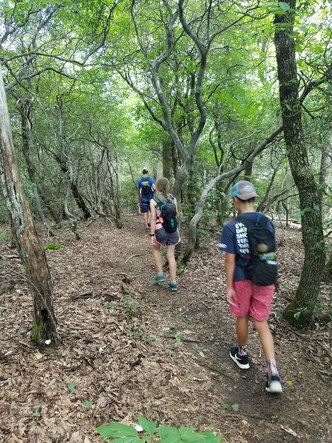 Exploring the mountain trails in the area, join us for a hike on The Foothills Trail, The Pisgah Forest or the Nine Times Forest and Preserve. These are but a few of the outstanding trails to adventure. Have a place in mind? Custom trips available. Swamp Rabbit Cafe Lunch and travel Included.